Do you guys remember the kale era? Or the apply coconut oil to everything era? There were times where I honestly thought people were ready to drink coconut oil from the cup. You guys have to admit; it got a little out of control. All I saw for months on my feed was coconut oil scrubs, coconut oil masks, and coconut oil in coffee. Don't even get me started on when people discovered kale existed. Unfortunately, this isn't that article so let's move on before my ranting spirals out of control. All right, ladies and gentlemen, children of all ages, are you ready for your next superfood? That's right; it's about time our side of the world becomes familiar with this dark, leafy green. Now, if you are of Middle Eastern or North African background, you are familiar with this ancient plant that in a way resembles spinach leaves. Though there are several accounts on where and when it was found, most scholars agree that molokhia was discovered in ancient Egypt. Because of its name, it is believed it was a dish prepared for only the highest of powers at the time (Molok in Arabic means kings). Throughout history, this plant has become a favorite in every Middle Eastern cookbook. Because of its highly mucilaginous content, molokhia has a slimy and thick texture like okra when cooked. It’s usually served with a side of white rice and a meat of choice (mostly chicken or lamb). Although an exciting history, molokhia is a superfood known for its incredible health benefits which according to Brett Kell of Edible Milwaukee, include "potassium, calcium, and magnesium, and is packed with vitamins A, C, E, and K. The leaves are rich in beta-carotene, iron, calcium, vitamin C and more than 32 vitamins, minerals and trace elements. It’s said to aid digestion, improve vision and lower stress, in addition to increasing internal blood flow, which could explain its supposed aphrodisiac effect." 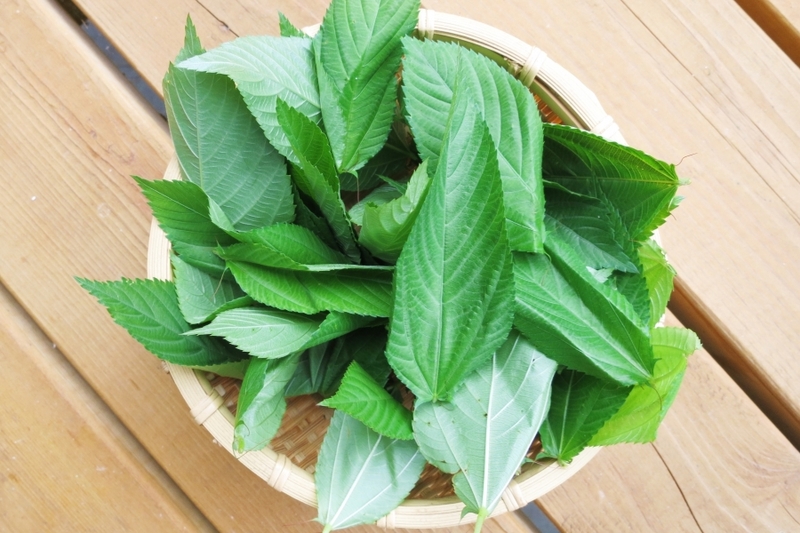 Here are the several benefits of molokhia! According to the American Heart Association, "about 77.9 million (1 out of every 3) adults have high blood pressure." and according to the World Health Organization, “heart disease and stroke are the world’s biggest killers, accounting for a combined 15.2 million deaths in 2016. These diseases have remained the leading causes of death globally in the last 15 years." Just one cup of molokhia contains 317 mg of potassium. If people understood the necessary functions potassium offers, they would rethink the phrase "an apple a day keeps the doctor away." Potassium is not only responsible for your heart's every beat, but the reason for functioning cells. Because potassium is a vasodilator, it has a relaxation effect on blood vessels and arteries. This helps heighten oxygenation levels which in return increases blood flow throughout your body. Not only that but the high content of potassium in molokhia helps flush out any excess sodium in your blood, preventing any constrictions of blood vessels. It's no secret that iron is one of the highest mineral deficiencies in the world today. We all know how iron is one of the most important minerals out there because it's an essential part of hemoglobin (content that carries oxygen in the blood). Molokhia leaves are crazy rich in iron -100 mg contains 3.8 mg while spinach contains only 2.7 mg.
What happens when our body runs low on iron? Without iron in our diet, oxygen delivery to blood cells is limited, and symptoms such as anemia and fatigue develop. Here is a mineral that is rarely talked about even though our leafy greens are loaded with it. Here's a little jaw-dropping fact about magnesium: it is needed for more than 300 biochemical reactions in the body. Just like potassium, magnesium also has a calming effect on our nervous system. How does magnesium help fight insomnia? You're coming home from a long day of work and all you want to do is sleep but...you can't. You're tossing and turning and wondering when the next season of Game of Thrones is coming out. Well, have no fear (except for the GoT part) because molokhia is packed with magnesium. Magnesium partners with the calcium in our bodies to help our muscles relax. Without magnesium, your muscles have trouble relaxing which can result in spasms or cramps. If you're having several sleepless nights, low magnesium levels may be the cause. What’s the first thing that comes to mind when you hear or read the word calcium? Probably milk. Or strong teeth and bones. Just 216 grams of molokhia contains 12% RDI (Reference Daily Intake). While I can go on and on about how critical calcium is for our nervous system to operate properly, all you need to know is that without a calcium-rich diet, muscle contraction would be impossible and our bodily structure wouldn't have all the support it needed. Molokhia contains Vitamin E which is an essential element for healthy skin. Other than being a powerful antioxidant, Vitamin E helps boost the immune system and helps prevent certain cancers and cardiovascular diseases. By incorporating Vitamin E into your everyday diet, you are preventing any future illnesses and promoting healthy skin. beta-carotene, vitamin c, and vitamin e.
Beta-carotene is a red-orange pigment found in plants and fruits, especially carrots and vegetables. It is converted into vitamin A which play a variety of roles including bone metabolism and skin health. Vitamin C as we all know is important in repairing tissues in our bodies. It is also vital when it comes to absorbing iron and helps maintain the health of bones and teeth. Because it is found in every cell of our body, it's role in our body is one of the most important. As stated above, vitamin E is a powerful antioxidant that helps boost our immune system and keeps our skin and eyes healthy. There are days when we feel like we can't move because of how bloated or constipated we are. Dietary fiber is a bulking agent that can help relieve you of these symptoms. One cup of molokhia contains 2.6 grams of dietary fiber, that's twice more than kale, and beats spinach by a minor .2 grams. Remember all those antioxidants we talked about earlier? They’re the ones that protect your cells against all the free radicals in the air. This helps prevent diseases and several types of cancers. By incorporating antioxidant-rich food into your diet -such as molokhia-you'll be doing yourself a favor in the long run.